As schools continue to integrate technology into the teaching day, educators are talking about an emerging phenomena called “the digital use divide”. 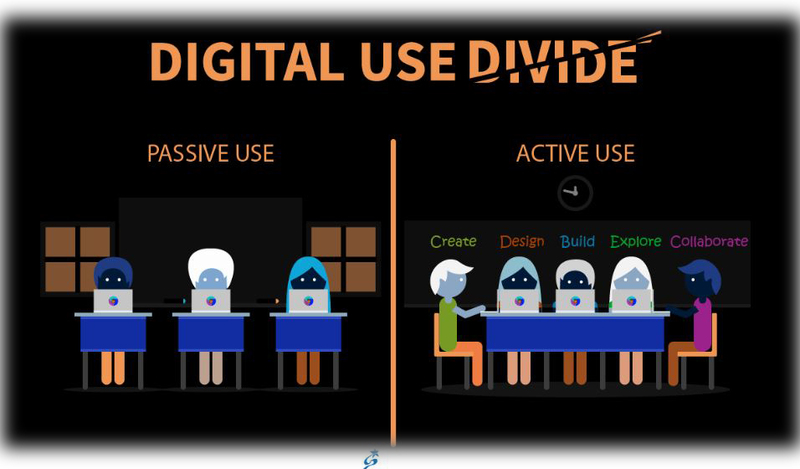 Many people talk about the digital divide with respect to access to technology, but the digital use divide is speaking more to what happens when schools and teachers have access but implement technology in different manners. Some of this, of course, revolves around how teachers are using technology. 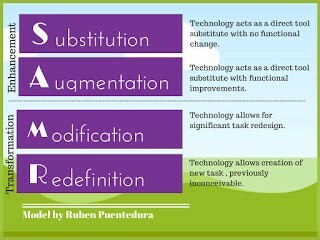 If students are simply doing electronic worksheets, then they are operating on the lowest level of the SAMR model. Really, no educational gains are made from a consistent use of substitution of electronic worksheets for paper worksheets or multiple choice tests. Perhaps an argument could be made for quick formative assessments using electronic multiple choice tests as this could immediately inform instruction for the day. • Research on the effectiveness of technology-enabled programs and resources is still limited, and we should build capacity to generate evidence of individual-, program-, and community-level outcomes. 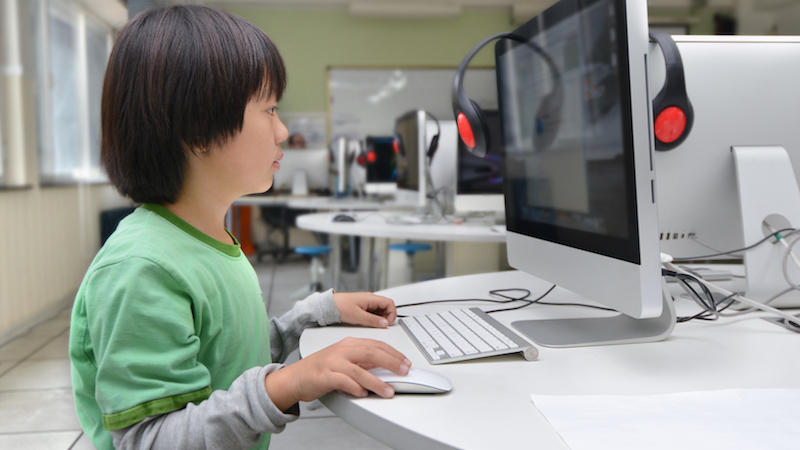 • Many schools do not yet have access to or are not yet using technology in ways that can improve learning on a daily basis, which underscores the need — guided by new research — to accelerate and scale up adoption of effective approaches and technologies. Change with regards to technology integration is coming more rapidly than most educators would have imagined and probably will continue to do so. With this change comes challenges and nuanced situations that require systemic thinking from all parties involved. That includes teachers, school administrators, district leaders, and community members. For many districts, it is a matter of not knowing what they don’t know. Implementing technology and reimagining education and classroom instruction is empowering. However, time and thought are needed to do this effectively.